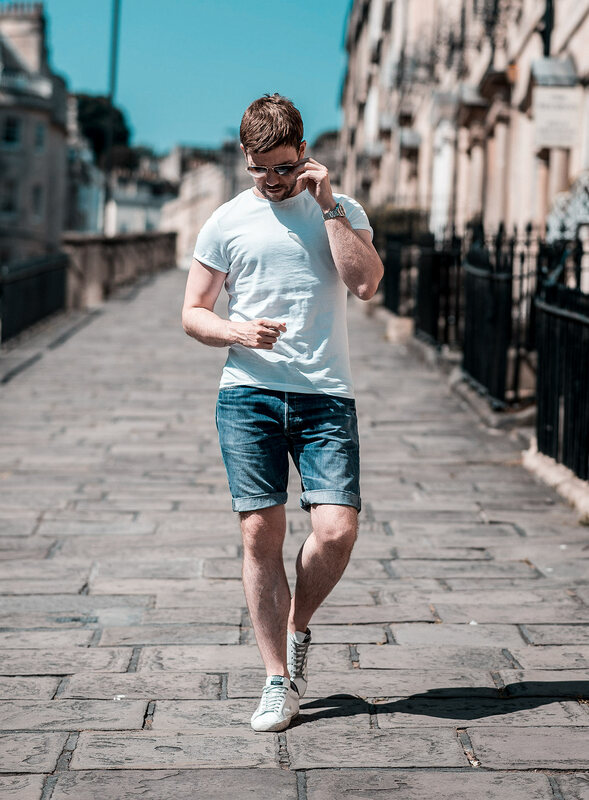 We are currently enjoying the best summer in years across the UK, so for my latest outfit post, I have embraced the heatwave with a classic look! 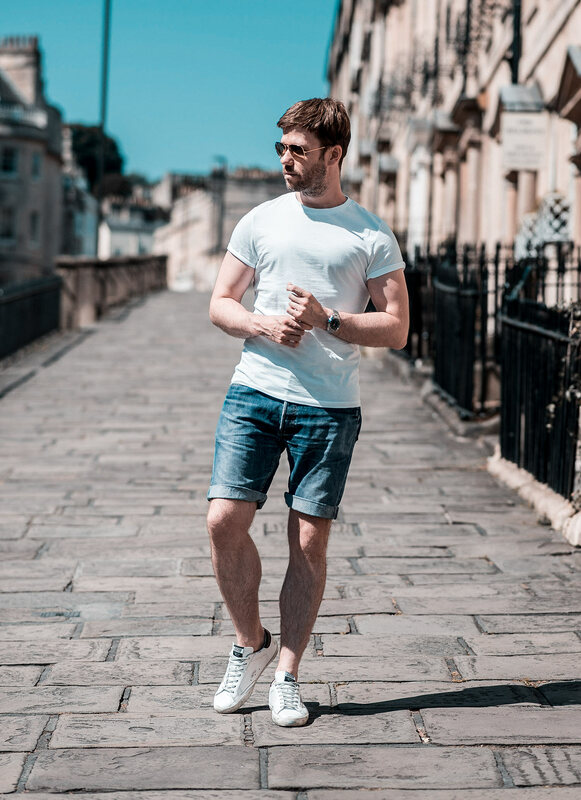 I went back to basics with that ultimate classic wardrobe necessity – White T-Shirt, purchased from ASOS and opting for one of their roll sleeves options, providing a more modern look. Next up we have my Levi’s Denim Shorts which I obtained from Urban Outfitters in their vintage section. 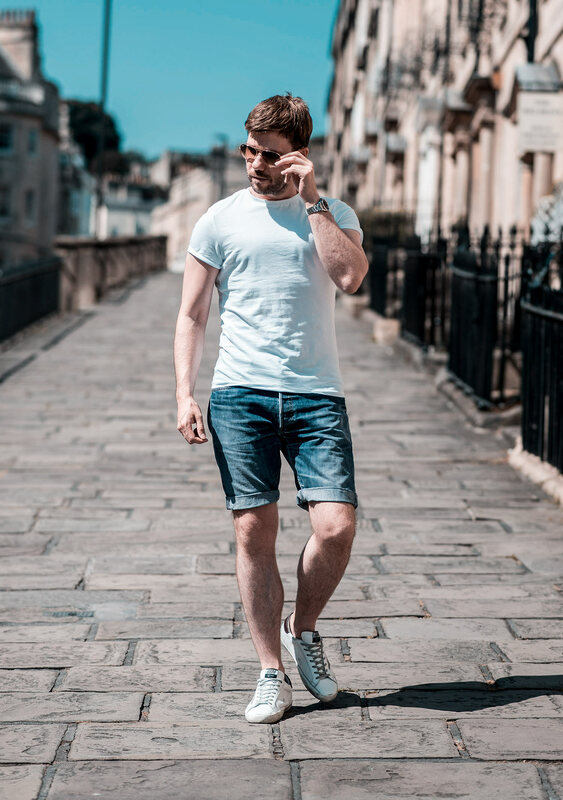 It took many weeks of searching to acquire the perfect pair, looking for the correct combination of size, fit, colour and distressing! It was definitely worth the hunt, as I am 100% happy with the ones I have. Instead of choosing a typical summer style of footwear such as espadrilles or loafers, I decided on my Golden Goose Deluxe Sneakers for a streetwear style ensemble. 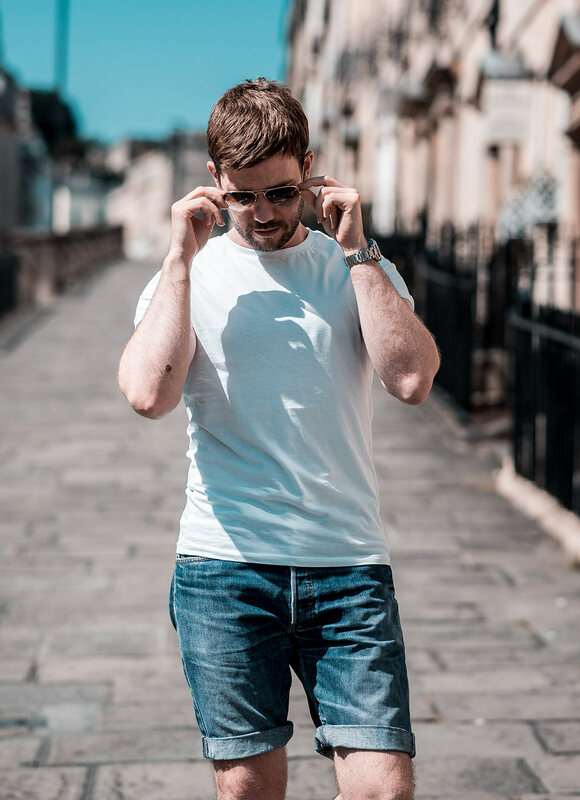 To complete my outfit, I grabbed my classic Ray Ban Aviators to help protect against the blinding sunbeams! How are you all coping with the current temperature? What sort of outfit choices are you picking? Please let me know in the comments below!